Yesterday, Chief Judge Roger Hunt of the United States District Court for the District of Nevada issued a stern ruling threatening sanctions against Righthaven LLC in one of the numerous copyright infringement lawsuits brought by Righthaven in Nevada (Righthaven LLC v. Democratic Underground, LLC, No. 2:10-cv-01356-RLH-GWF). In dismissing the case, the Court found that Righthaven misrepresented its rights in the underlying copyrighted works and did not have standing to sue for infringement. The Court further ordered Righthaven to show cause why it should not be sanctioned for failing to disclose another party’s (Stephens Media LLC) pecuniary interest in this and hundreds of other cases filed in Nevada. Righthaven is a Nevada company that acquired limited rights from a variety of copyright holders, including Stevens Media LLC and News Media Group, to file hundreds of lawsuits against individuals and entities that allegedly infringe copyrights by posting excerpts of articles from newspapers such as the Las Vegas Review-Journal and the Denver Post. Righthaven has filed suit in a variety of jurisdictions throughout the United States, including Nevada, Colorado, and South Carolina. Righthaven does not create or publish the works it is suing on. 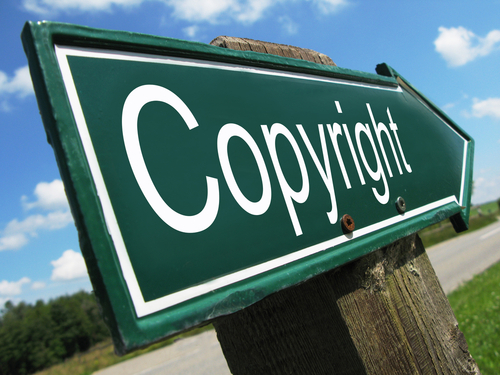 Instead, it acts as an enforcement arm of the original copyright holders that it has a relationship with. It scours the web looking for individuals, typically bloggers, that have reposted all or portions of articles appearing in newspapers such as the Las Vegas Review-Journal or Denver Post. It then files suit, threatening substantial sanctions, including damages up to $150,000 and forfeiture of web site domain names. Righthaven has sued everyone from political candidates to charities, individuals, bloggers, and companies—even those that a newspaper featured in the very article that was copied. Because Righthaven does not create or publish the content that it is suing on, Righthaven is often referred to as a “copyright troll,” in an apparent tip to how many people refer certain types of non-practicing entities in the patent infringement arena. With respect to copyrights from Stevens Media, Righthaven entered into a Strategic Alliance Agreement (“SAA”) in 2010 that was made public for the first time this year as a result of discovery in one of the lawsuits. The agreement purported to assign all rights to the copyrighted materials to Righthaven. In fact left all of the rights with Stephens Media except for the bare right to sue. For example, Stephens Media expressly retained the rights to license, receive royalties, and exploit the copyrighted works. In addition, Stephens Media receives 50% of any of the litigation proceeds (minus costs) that Righthaven receives for lawsuits involving Stephens Media’s copyrights. The Court’s decision yesterday is a stinging rebuke to Righthaven and its tactics. It will be interesting to see if it can survive this ruling and the likely challenges by defendants in the hundreds of other cases around the country. What may have appeared to be an easy way to make money off of these copyrights could end up costing Righthaven significant amounts of money in sanctions and attorneys’ fees.